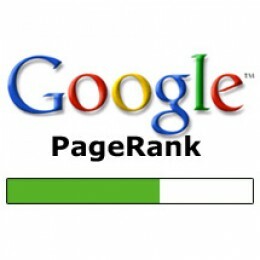 Home › Internet › Google › Is Google dropping the Pagerank update? Pagerank as well all know is one of the hundreds of matrix that Google use for ranking a page on Google search results for a keyword. Google calculates rank for ever URL they crawl based on quality of backlinks that URL has. This rank is updated almost daily but Google makes this pagerank data public once every few months. Its on a scale of 10. Dropping pagerank update does not mean it has no significance in ranking. Ranking algorithms are used by every search engine. These algorithms are kept secret so that people do not misuse them to rank higher for a keyword. Google is the only search engine to have released this data publicly. So if they decide not to release the data publicly anymore, then it doesn’t change anything. Most other search engine do not release any such data. It only means one less matrix for webmasters to check the performance of their website. I am a believer of this hypothesis. I believe that Google is busy analyzing the impact of delayed release of pagerank data on the quality of search results. Spammers and hackers analise the impacts of their changes made and the blackhat techniques used on their pagerank. So if Google stops updating the pagerank then definitely the spammers will never come to know if a particular technique used by them too rank high has performed well. Google normally updates the algorithm almost everyday. But those are minor tweaks. May a major algorithm update is about to take place like Panda and Penguin.? Only after that update may Google release the pagerank update. What ever may be the reason, Google is keeping its silence regarding the delayed pagerank update. I guess it will be a big surprise for us. What next? How to know where I currently rank? Nothing to worry if Google does not update the pagerank. There are two other good websites that can predict what your domain/page may rank on Google. 1. Moz’s Domain Authority – Moz has come up with its own rating algorithm which rates domains on a scale of 100. It tells how well a domain will perform on search engine. Their algorithm is very impressive. I compared 30 websites’ Google pagerank with Moz’s Domain authority and found most of they equal. So we can safely assume that your current Google pagerank will be close to Moz’s Domain authority rank. 2. Ahrefs Domain Rank – This is another site which not only gives you domain rank based on their algorithm but also give you other backlink statistics of your website such as number of backlinks (dofollow/nofollow), number of linking domains etc. I compared Moz’s Domain authority with Ahrefs Domain Rank for website and found that Moz’s Domain authority were more close to the Google’s Pagerank. My sample website was small so I would not conclude that Moz’s algorithm is better. You can check your Ahrefs Domain Rank here.